Categories: 2018 and All Presentations. Joe Mathot and Scott Jones, Directors of the Founder’s Cup Charity Classic, receive a cheque from Rosemary Shea and her team at Scotiabank Maple Ridge / Pitt Meadows. 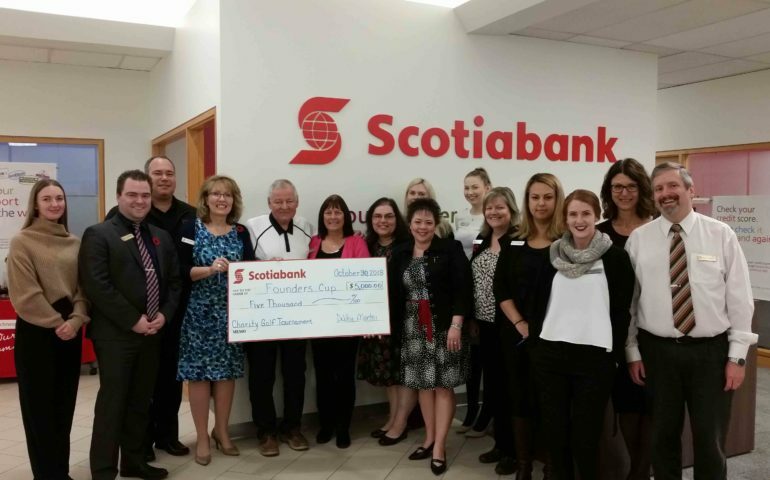 Scotiabank made a match donation of $5,000 for funds raised through the Founder’s Cup 50/50 draw. 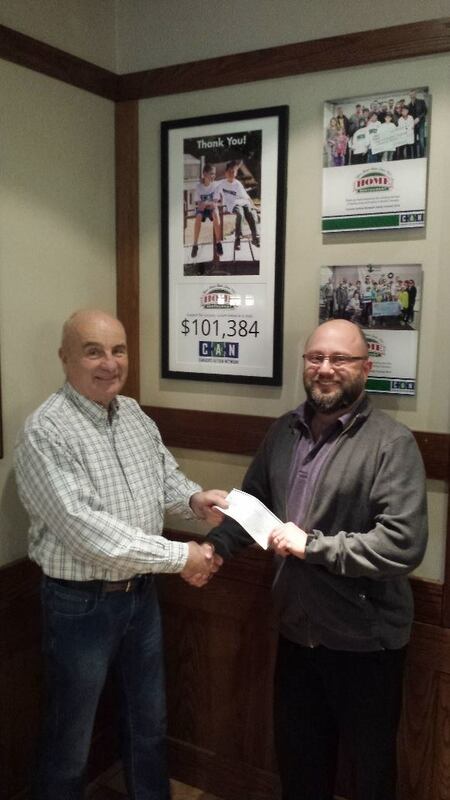 Thank you to Scotiabank for the donation, and to their many volunteers who helped at the tournament.